Just call us if your boiler is acting up because you may need a boiler repair? If it’s causing you to worry, we can help? Do you want someone you can trust to give you advice on boiler repair and a new installation if you need it? We are happy to give you a free no-obligation quote. If you need advice you have definitely come to the right place. We have been established for many years now and have experts with over 30 years experience. This is both in the domestic and commercial boiler repair and installation industry. 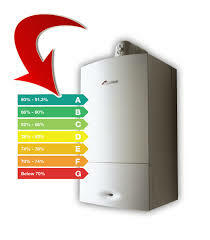 If you need a boiler repair our experts are here to help you furthermore if you need a new boiler our prices are great. Our plumbers take pride in offering customer service that is second to none. If you need any oil or gas work completed you will find our quotes as competitive as anywhere on the market. We don’t even charge a call out fee! All of our staff are fully qualified R.G.I.’s (Registered Gas Installers) as required by Irish legislation. When it comes to working on any aspect of boiler maintenance or installation this is a must. If a boiler is not installed correctly this may lead to hospitalization and even fatalities. Please ensure you have an R.G.I. engineer. Our Dublin plumbers have access to every major brand of boiler in the market and our expert, professional advice will help us tailor repairs or any new boiler to your needs. We also stock a range of parts for your boiler repair. Unfortunately, we can not stock all parts as there are literally hundreds although we can order the ones we don’t stock as required. So if you need some help just give us a call 0n 01-6874852. Our team of Dublin plumbers do not charge for call outs. We are available 24/7 – 365 days a year and can help with any urgent boiler repairs or emergencies.